Explore the world of kings, queens, and lords, along with the people who would die to protect them. Learn about a man who had been cursed with dragon blood flowing through his veins. Thieves, pirates, and assassins divide to aid both good and evil. Peasants are being attacked by outlaws and cities are being robbed by a gang called the Vandals. 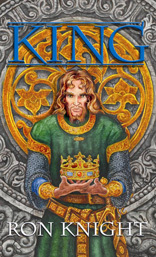 Over the course of fifty years, six men and one woman discover the difficulties of having the most powerful title in the land…King.